Ever the non conformist…his first book, Absolom Rex, he decided to publish as an e-book and see if he could market it himself. 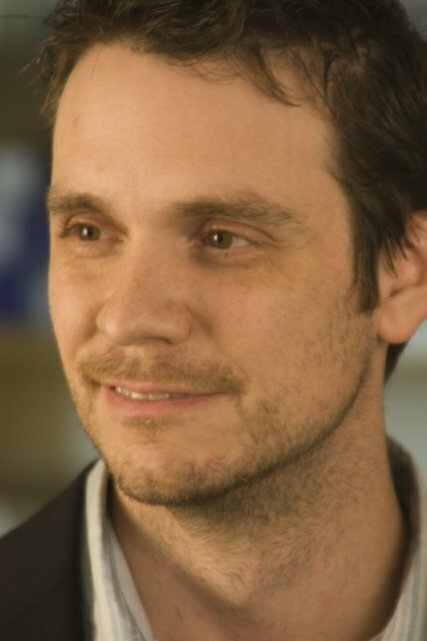 So on top of being a writer, he is also an entrepreneur and marketing professional. It makes for a confusing description when people ask him what he does. In addition to his horror novels, K.L. also writes the Darkwater Adventures Guild series for young readers and. Some of his favorite authors from growing up are John Bellairs, Mark Twain, Washington Irving and R.A. Salvatore. He now lives in Texas with his dog Sid. He’s an 80′s movie and music lover and the thing that he likes most about a woman is her voice… When not banging away on a keyboard he’s scheming of ways to get himself to a new campsite for the weekend, hiking, contributing to darkmediacity.com, or getting thrown around in a dojo by people in black suits. Q: In your biography, you astutely identify yourself as an entrepreneur and marketer – job titles it takes most self-published authors a while to adjust to. Did you know right away that this work would be required of you, or was it a process of discovery? What made you decide to self-publish, and essentially: did you know what you were getting into? A. It took awhile for me to realize I wasn’t really interested in working with a publisher or agent. Through my work with a startup while I lived in California, I taught myself the basic ropes of marketing and copywriting for the web so I had a decent idea of what to do, just had to find the tools (like Goodreads) out on the web to facilitate it. There is still plenty I don’t know, and I am having as much fun marketing and connecting with readers as I do writing stories. I decided to self publish because I kept getting the same answer from everyone in the publishing world, ‘there is no market for your book.’ Most of the time, the consumer will let you know what is marketable, but sometimes, the product creates the market and I decided to invest in my product and let the readers decide if it is marketable or not. 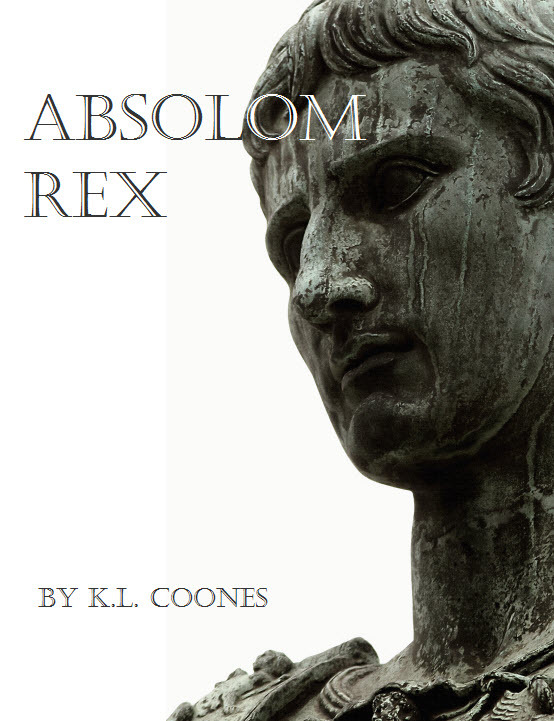 So far, the publishers have been wrong as Absolom Rex has been received positively if not yet massively. Q: How did you select the title Absolom Rex and what does it mean? A. Absolom Rex reflects several themes running through the books narrative. First there is the conflict between Rome and Judea. To Rome, the rebellion of Judea was like a child rebelling against its father. This is mirrored in the biblical text by the rebellion of Absalom against his father, Kind David. The spelling for the novel is just an alternate spelling of the name Absalom. Pontius Pilate also comes to a point in which he rejects his subservience to the state, Rome. The word ‘Rex’ is Latin for king and hints at the power that Pontius acquires during the narrative, but also the lamentations that come with it. ‘Heavy is the head that wears the crown.’ Together I thought they had a nice ring to it and sounded interesting! Q: Your writing style is that it is very lush, visual and descriptive. I understand “Absolom Rex” is your first novel. What was your writing experience prior to writing this book? A. Nothing as massive as a 64k word novel! I had written several short stories in high school and college, but most of my experience came from studying other books I had read and how they were put together. Q. What I found interesting about your novel, in terms of genre, is that it combines traditional horror/dark fantasy with historical fiction. Weaving together a narrative that includes actual histories of any sort is a lot of work: I know this from personal experience, having had to devote time to identifying precise lunar cycles in a specific geographic location in 1975 for my book “The Moon Cried Blood.” But the 1970s are recent history, and a lot of information is readily available in reference books such as almanacs: your book takes place in ancient Rome. How challenging was it to do the research for your book? Q: During that period of time, Rome was very brutal. I took a theater arts class once where our teacher informed us that during plays, when a character died, they paraded out a slave wearing the actor’s mask and then actually killed him on stage – yet our modern perceptions of Rome are mostly as a very civilized place. Does your book let the reader see a darker side of Rome with which we might not otherwise be acquainted? A. I can answer that in a word, Caligula. Fortunately for Absolom Rex’s horror side, Caligula was a contemporary of Pontius Pilate, and though I don’t go into overly gory detail, Caligula’s character is a viewport for the reader into the violence and depravity of the ‘civilized Roman’ world. Though fictionalized, all the things Caligula does in Absolom Rex were chronicled by a historian named Suetonius and are examples of corrupt and perverted societal elites. Q. Back to self-publishing: is there anything you have learned in the process that you would like to let other aspiring writers know? Be very patient. Marketing takes time to work, so whatever you decide to do to market your work, be patient and keep submitting your work to reviewers and give interviews. If you can find someone who really likes your work, see if they are willing to help you spread the word. Don’t forget it is about the reader, not you. Q. Finally, is there anything you would like to let our readers know about you, and your novel that we haven’t already covered? A. I would like people to know that, although I don’t usually initiate contact with readers, I am accessible to them. As a self-published author, I don’t have a PR department that fields questions or filters contact from readers, nor would I want one. If readers are curious about something, I encourage them to reach out without fear of being ignored. I have found that one of the most fulfilling parts of being a writer is forming relationships with readers. 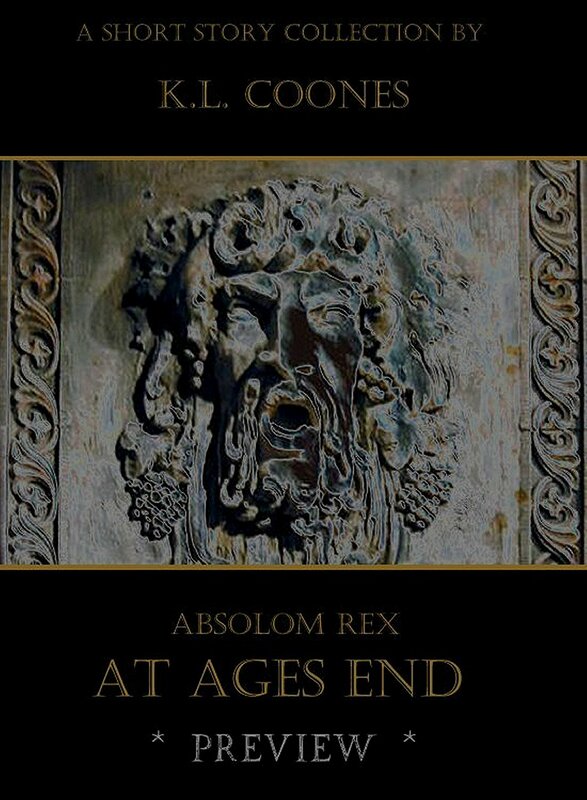 Absolom Rex: At Ages End is coming out in Fall. ~ by Sumiko Saulson on August 13, 2012.